In addition to the outstanding performance metrics, the company introduces a brand-new website to improve user experience. Tickmill Ltd, a Seychelles FSA-regulated ECN broker, announced today that record-high volumes were reached in June, buoyed by heightened volatility in the wake of the Brexit vote in addition to some promotional campaigns, as per an official statement. Looking at the specifics, Tickmill reported $49.1 billion in monthly volumes for June, the highest and most impressive figure in the company’s history. The global ECN broker attributed the outstanding performance to its diversified range of trading instruments, mobile-based platforms, and extensive array operational tools available to its customers and partners. However, more recent developments have propelled Tickmill’s trading volume to record highs including a ‘zero commissions’ policy during the Brexit week and a promotional campaign that rewarded traders with genuine gold bars. Finance Magnates interviewed Mr. Agarwal in June last year, a few months after Tickmill acquired clients of Armada Markets and employed some of its staff in January 2015, following Armad’s exodus from the retail market. Tickmill has also refreshed its brand with a new and improved website which is now officially open. 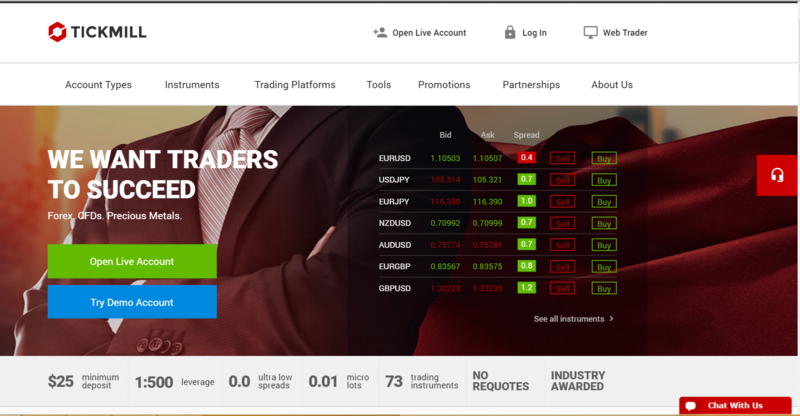 The company says the new website has been revamped with both client and internal team feedback incorporated during the development cycle, meant to provide supreme online trading experience for traders all over the world. “We believe the redesigned site does a better job of explaining who we are, what we do and what we offer traders. Additionally, traders should find it easier to navigate to key sections whether they are on their home computers or on their favored mobile devices,” noted Olga Kikas, Head of Marketing at Tickmill in an accompanying statement.